Anyone know anything about these guitars? 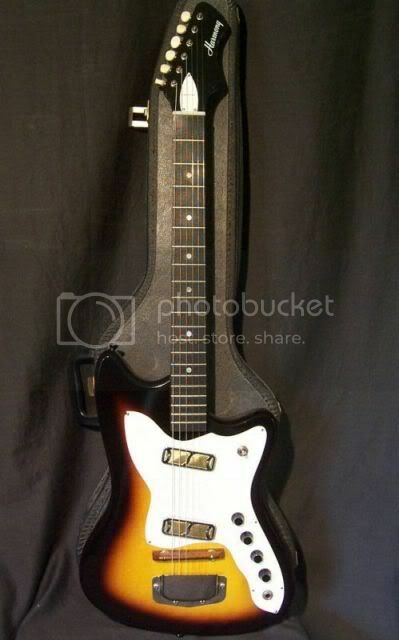 There is one for sale near me for $100 and it looks kinda cool but i know harmony has a bad reputation. Old Chicago made, or new Korean? 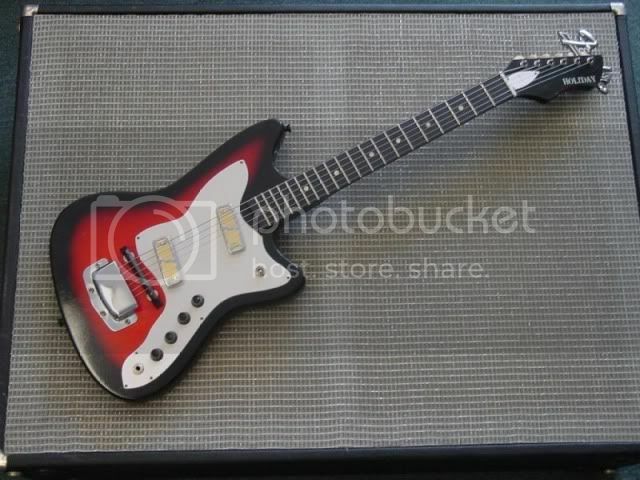 Looks like a real cheap Jazzmaster/strat hybrid shape sort of? I had a Kay that was a lot like a Bobcat, but only one pickup. I'd spring $100 for the nostalgia trip if I had it. I like the new Stratotones. The ones I'd avoid are the old archtops with set necks. You can do a lot if it's a bolt-neck to get 'em playable. I had an old mid 60's Rocket that I liked. I wish I still had it. If nothing else it would make a cool project. Thanks guys great info and that band the orbits is pretty damn cool. It looks like im too late though when i woke up this morning the ad was gone. Oh well im sure it would have been cool but i have too many guitars as it is. The same guy has this for sale for $85 but i have no idea what it is. This was My first guitar. The Bobkats were really cool, and pretty good players too. Thats the one partsman the only difference was the red part was more orange/yellow and it said harmony on the headstock. Those gold-foil DeArmonds were great sounding pickups. I played a Harmony Rebel just like the one pictured and it sounded and played terrific.